It doesn't take much to get the Internet's lunar-tics out in force. The web was awash with apocalyptic warnings that the movement of the moon will trigger tidal waves, volcanic eruptions and even earthquakes next week. The conspiracy theorists claim that on March 19, the moon will be closer to Earth than at any time since 1992 - just 221,567 miles away - and that its gravitational pull will bring chaos to Earth. However, astronomers have dismissed the claims as pure nonsense. The bizarre rumours centre on a phenomenon called the 'lunar perigee'. The moon's orbit around Earth is not a circle, but an eclipse. At its closest approach - the perigee - the moon appears brighter and larger in the sky. 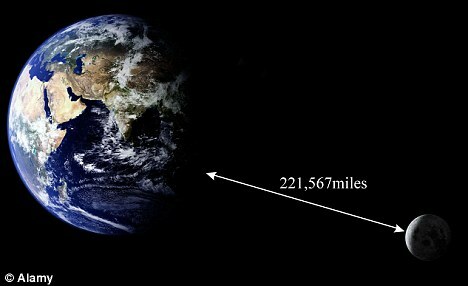 When it is furthest away - the apogee - it is smaller and dimmer. 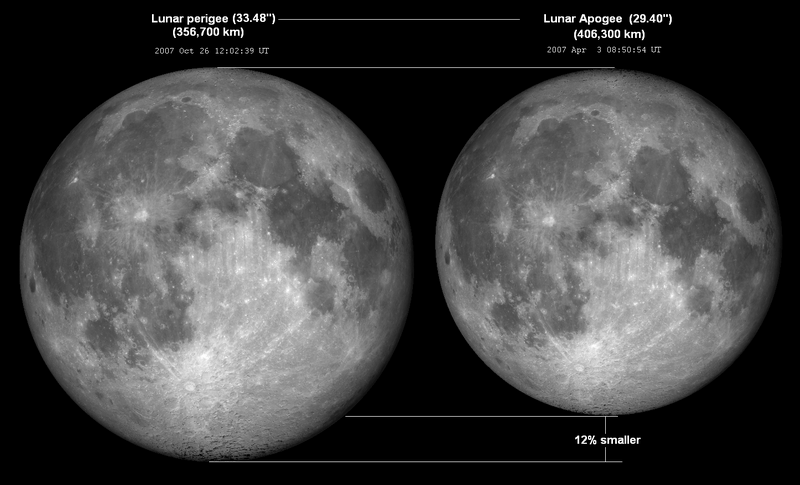 A lunar perigee occurs once a month. However, next week's perigee coincides with a full moon - a combination of events that happen just once every two or three years. Although it makes a good photo opportunity for astronomers, scientists say it has no impact on Earth. Dr David Harland, space historian and author, said: 'It's possible that the moon may be a kilometre or two closer to Earth than normal at a perigee, but it's an utterly insignificant event. 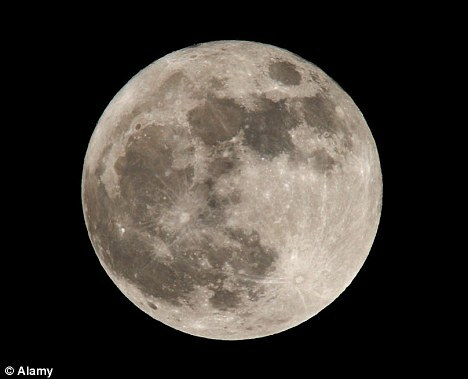 'But the Internet is awash with conspiracy-minded amateur scientists warning that such a 'supermoon' could disrupt Earth's climate patterns and may even cause earthquakes and volcanic activity. Previous supermoons took place in 1955, 1974, 1992 and 2005 - all years that had extreme weather events, the conspiracy theorists say. The tsunami that killed hundreds of thousands of people in Indonesia happened two weeks before the January 2005 supermoon. And on Christmas Day 1974, Cyclone Tracy laid waste to Darwin, Australia. I know this story is old, but I have not seen this mentioned. Although, there was no apocalyptic happenings during the supermoon last March, It did change my menstrual cycle. Since my cycle began and after children my cycle has always been around the same few days each month for the last 15 years. This supermoon made my cycle come over a week early and it never readjusted, it has stayed on this new cycle since. Basically coming on the new moon. This is very interesting Tina! Thanks for sharing it with us!